Looking for any Milk Booth Offer? Well, Now, Get Flat Rs 10 Cashback on Min Transaction of Rs 20 at Milk Booths (5 Times). So, Hurry up!! 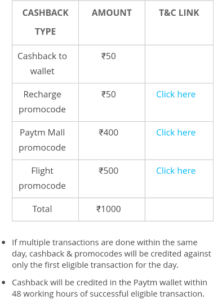 How to get Flat Rs 10 Cashback on Min Transaction of Rs 20 at Milk Booths (5 Times)?